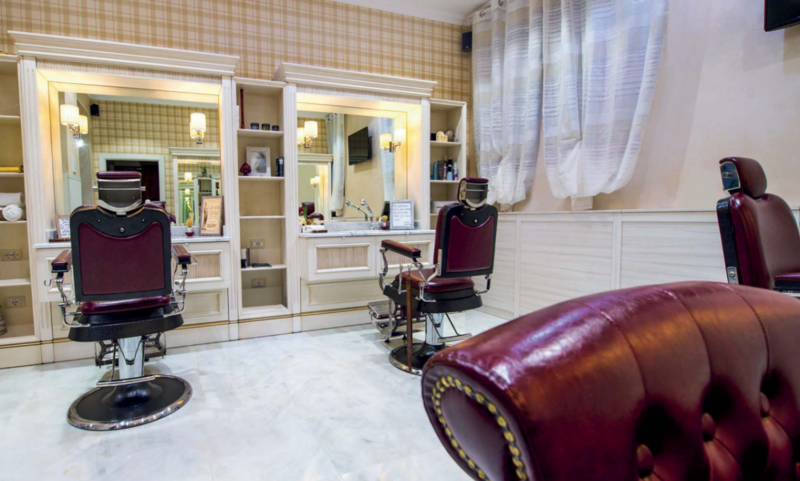 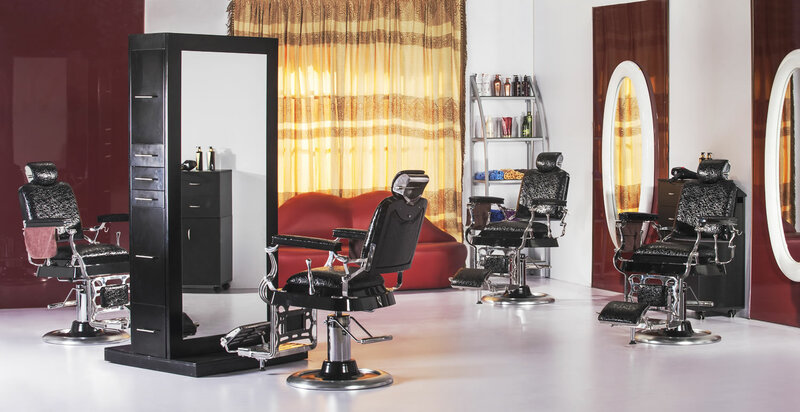 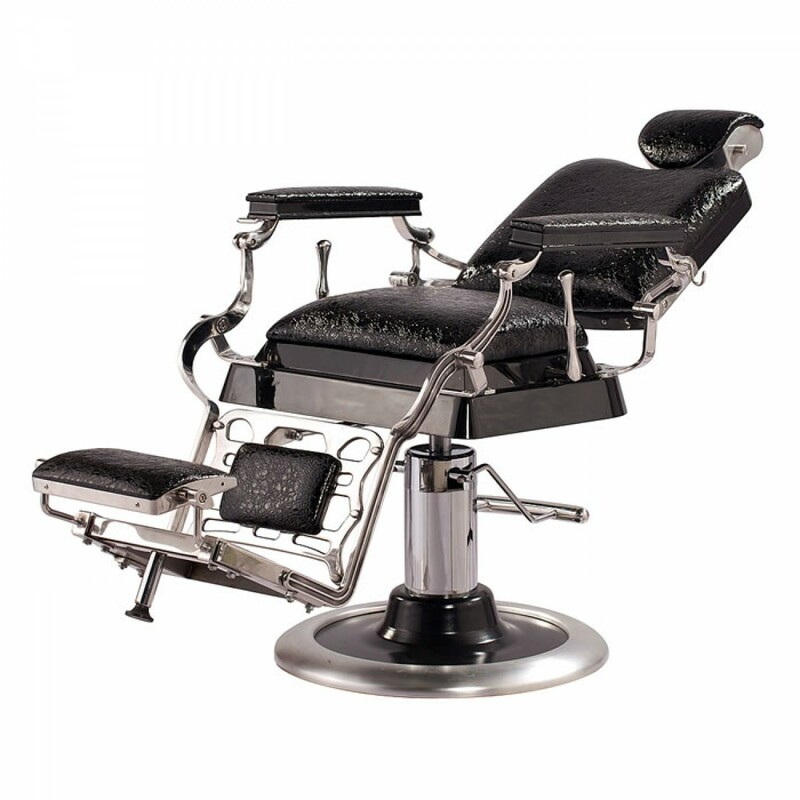 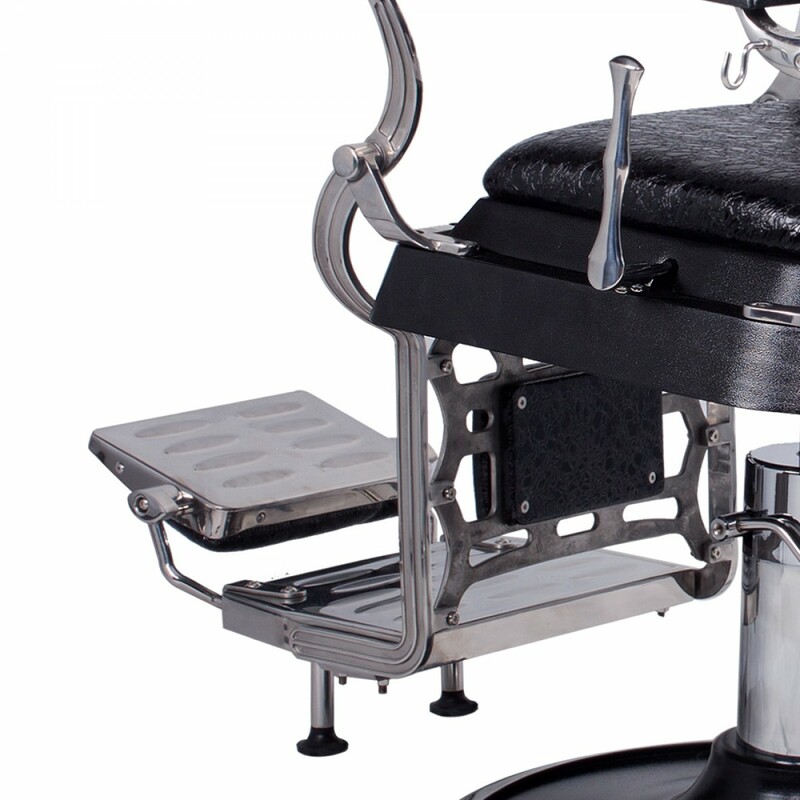 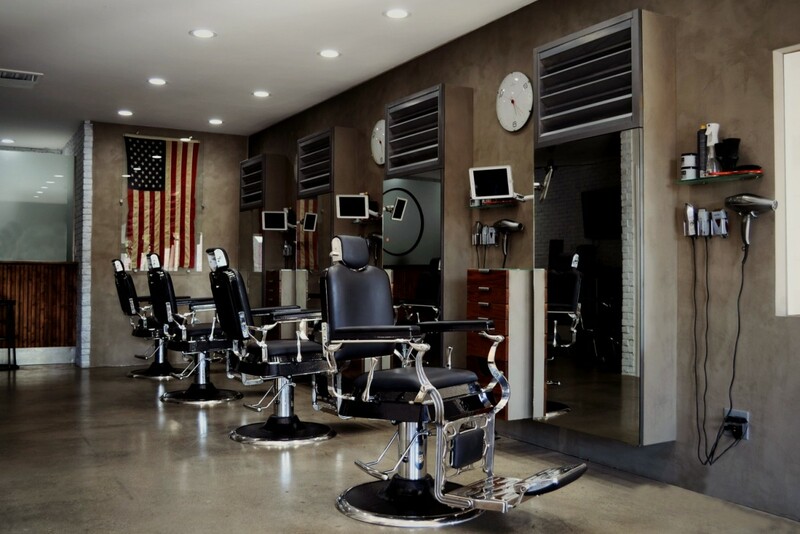 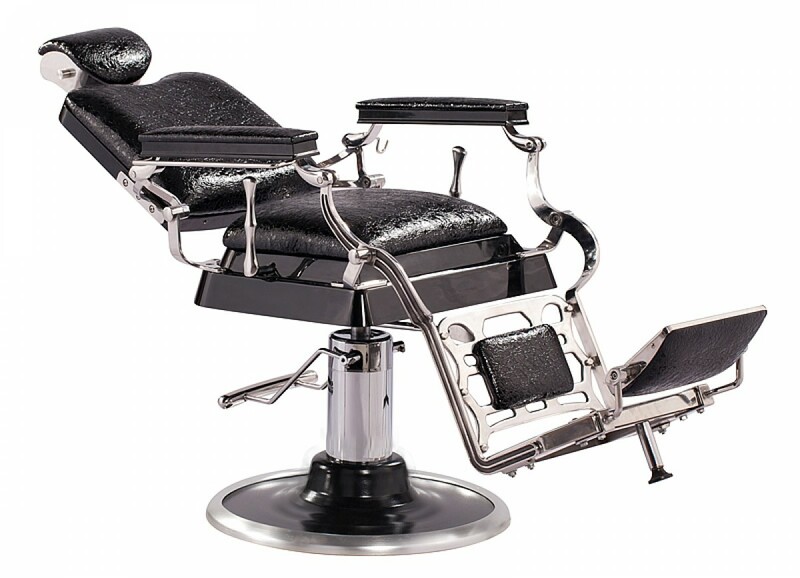 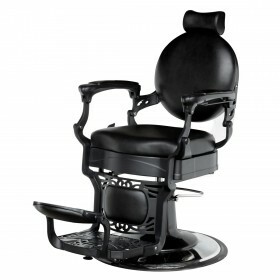 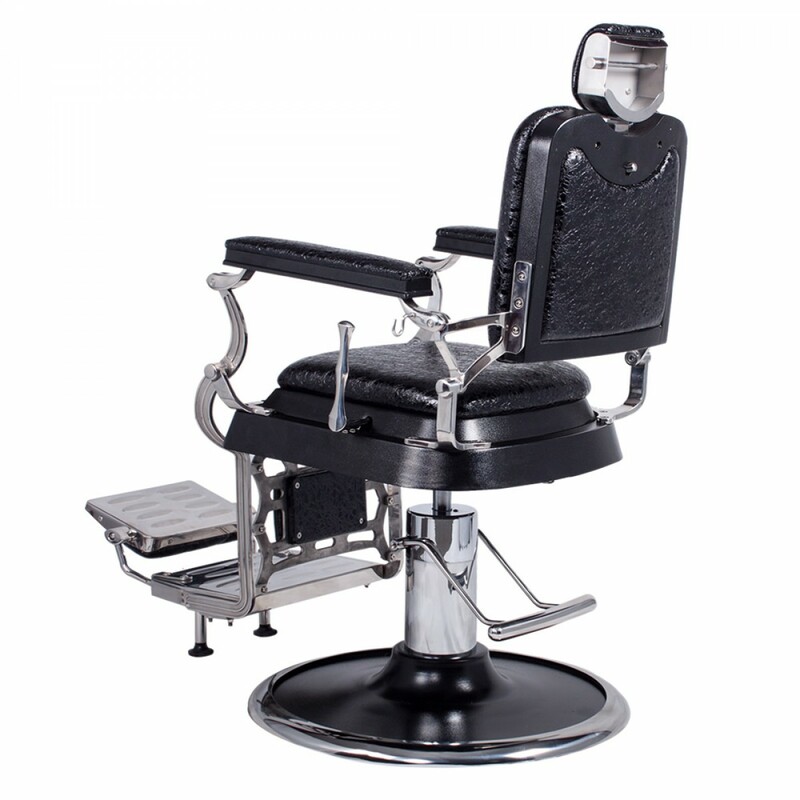 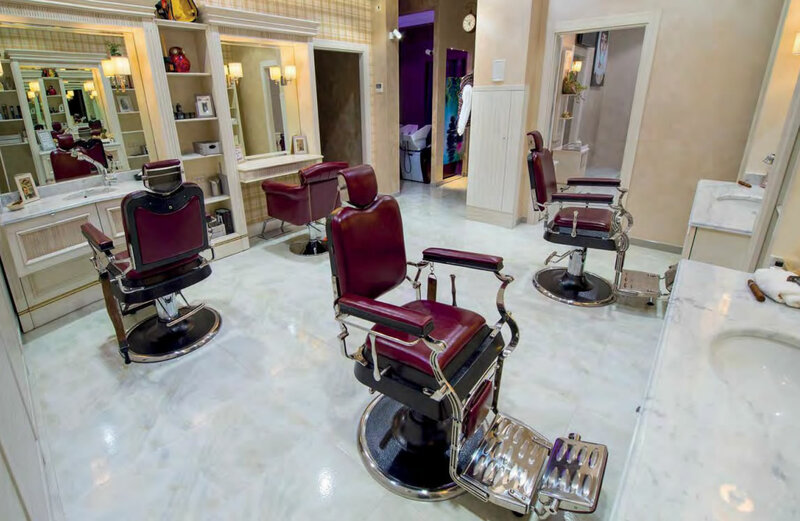 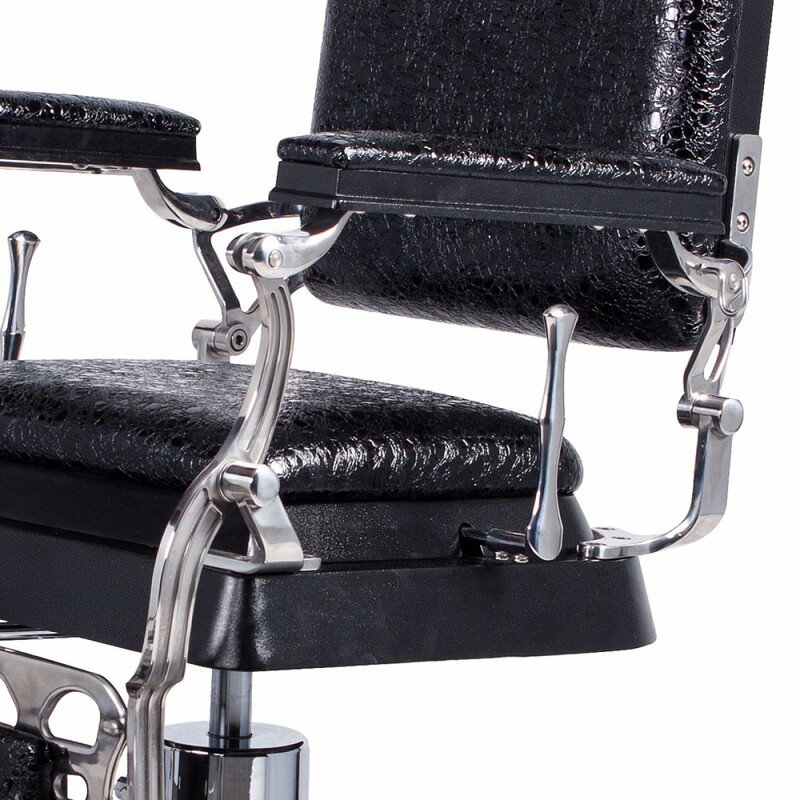 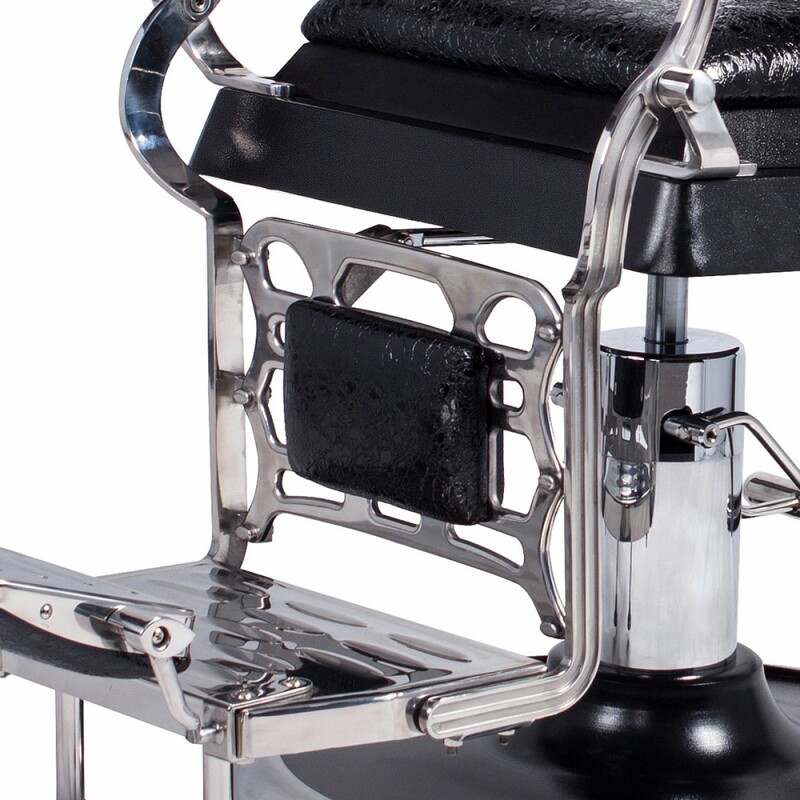 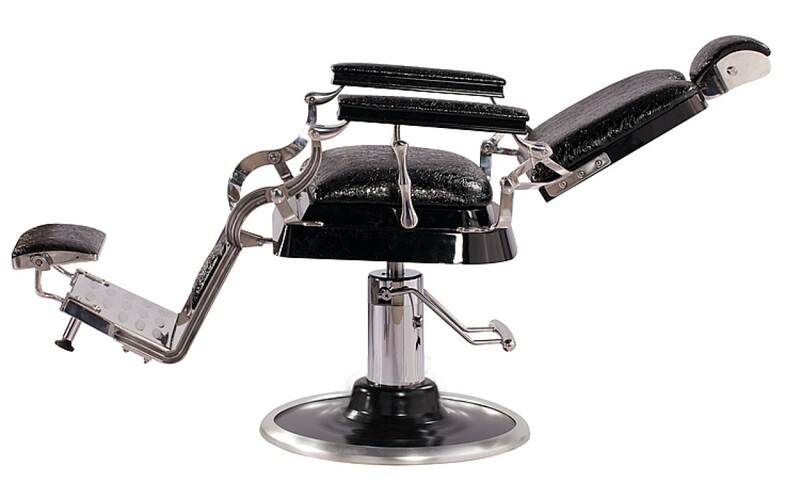 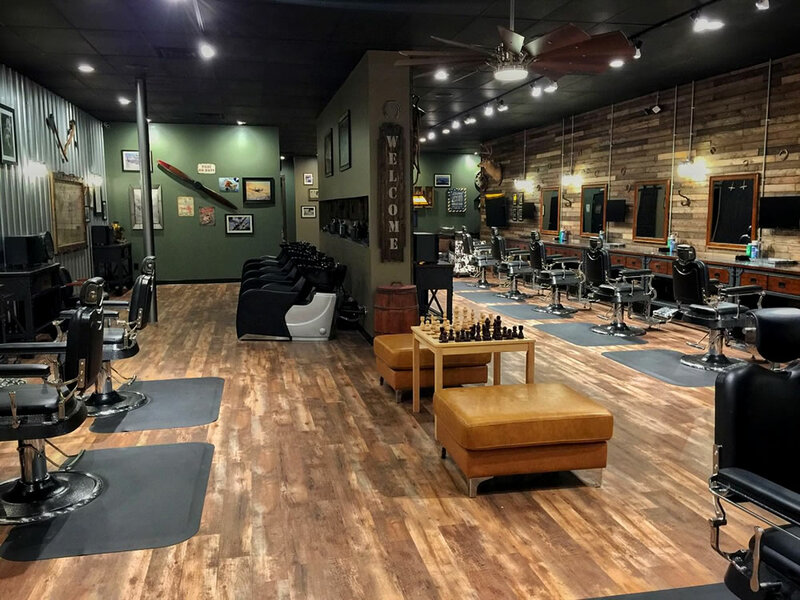 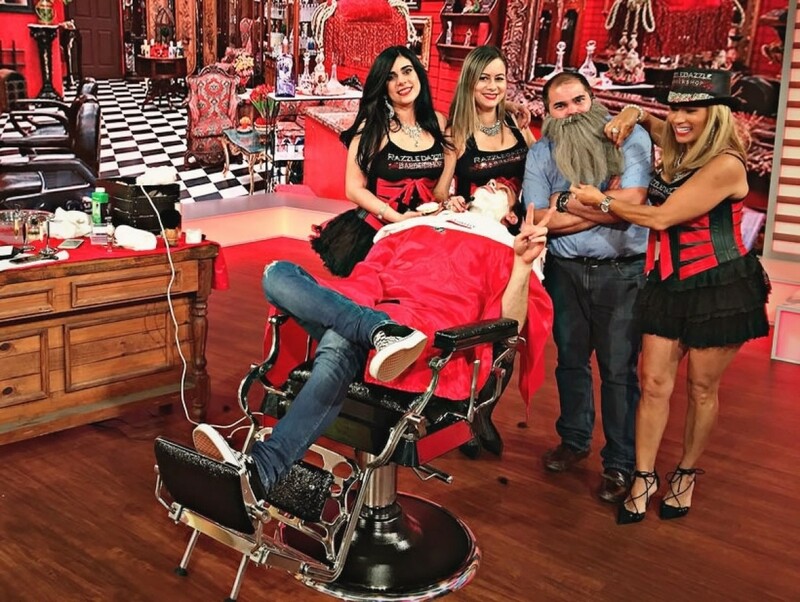 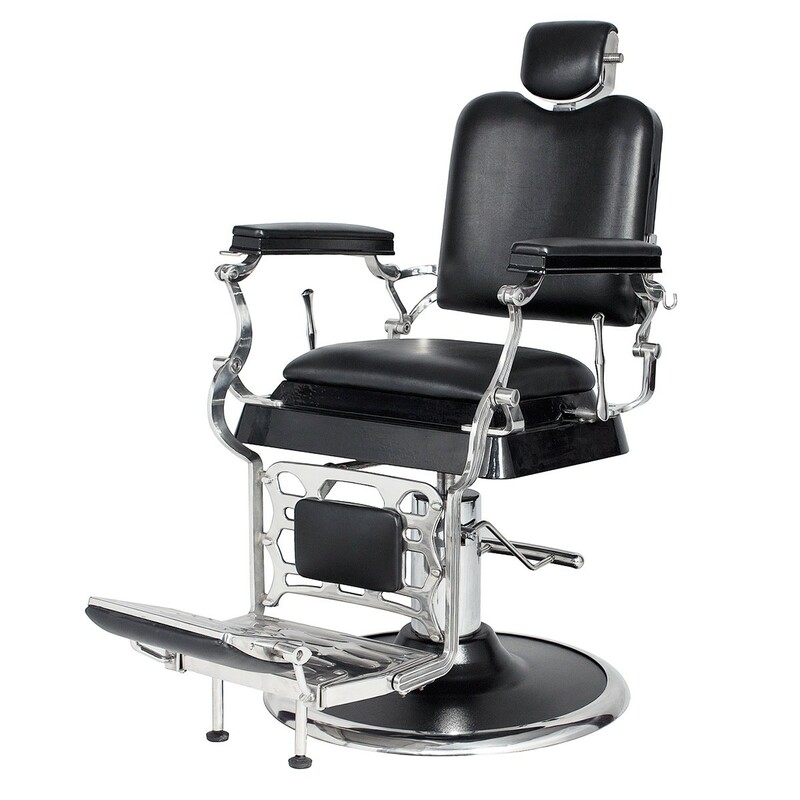 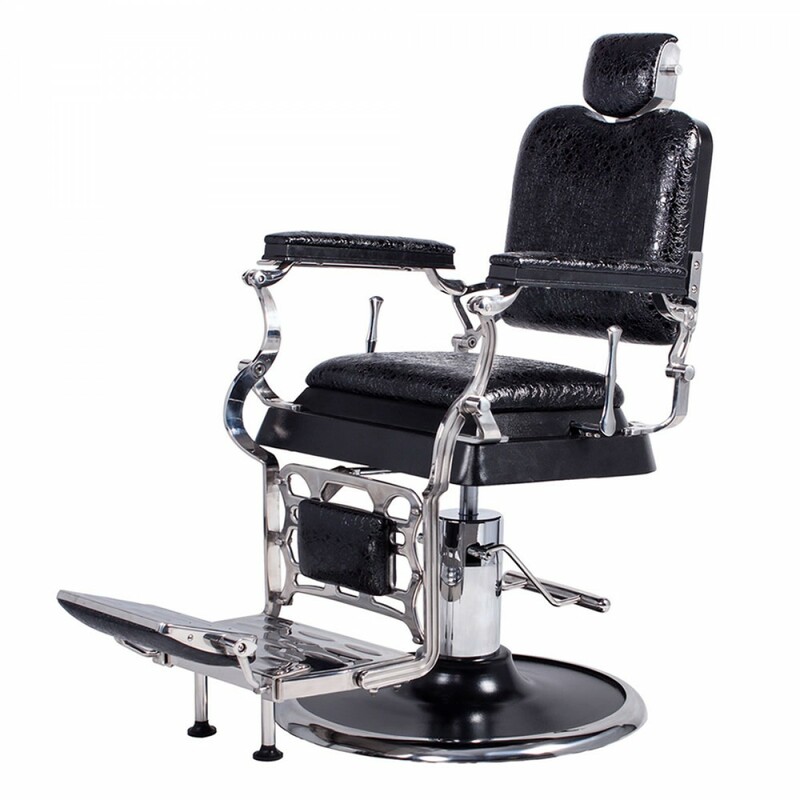 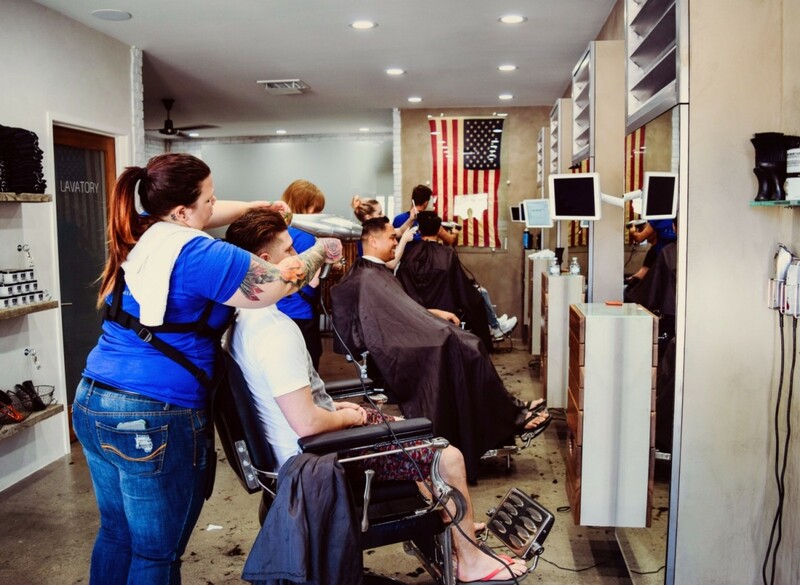 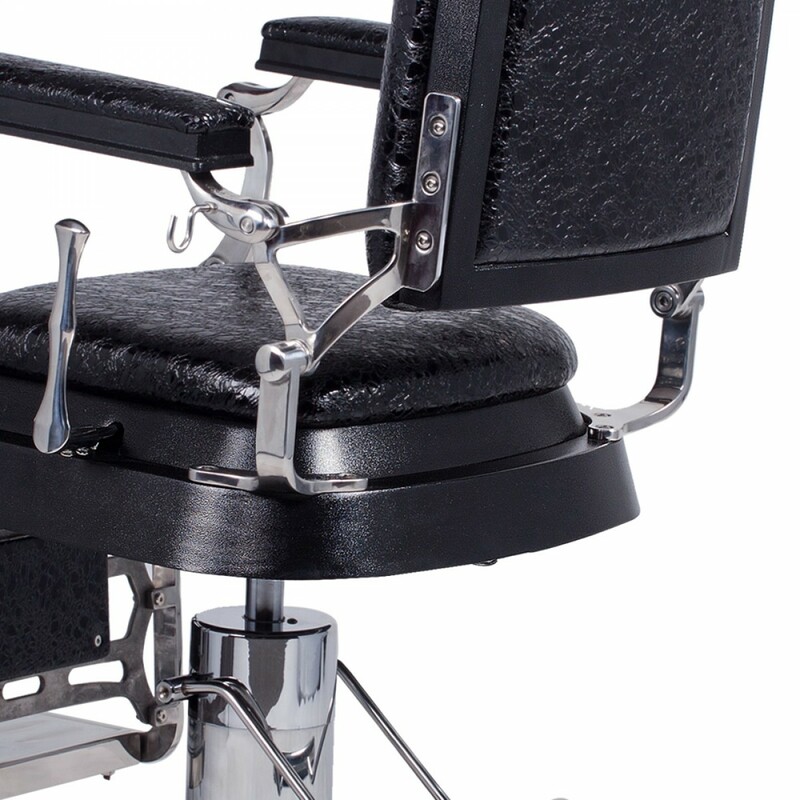 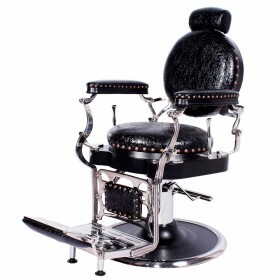 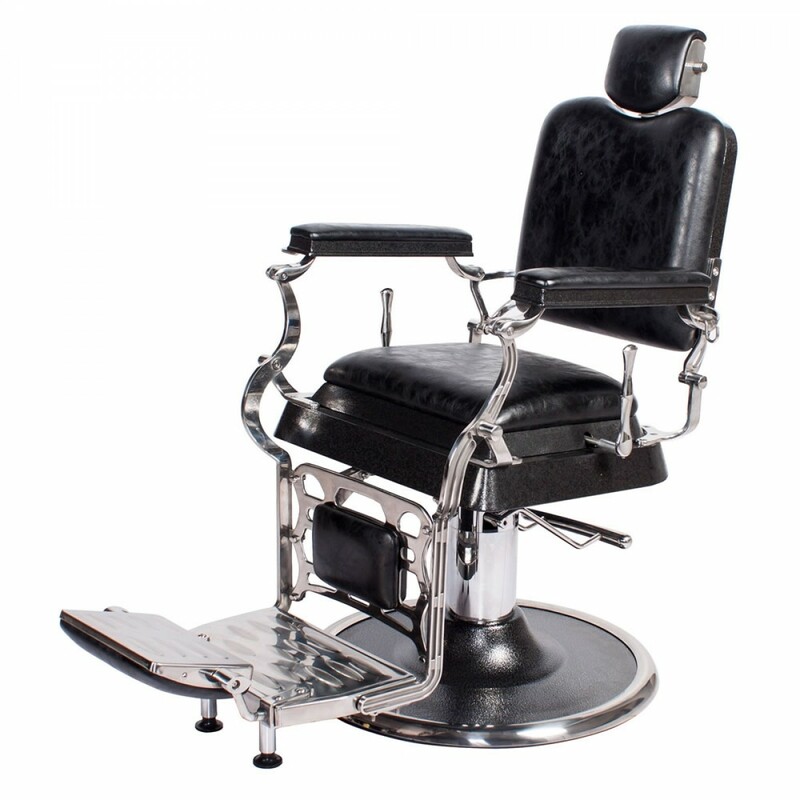 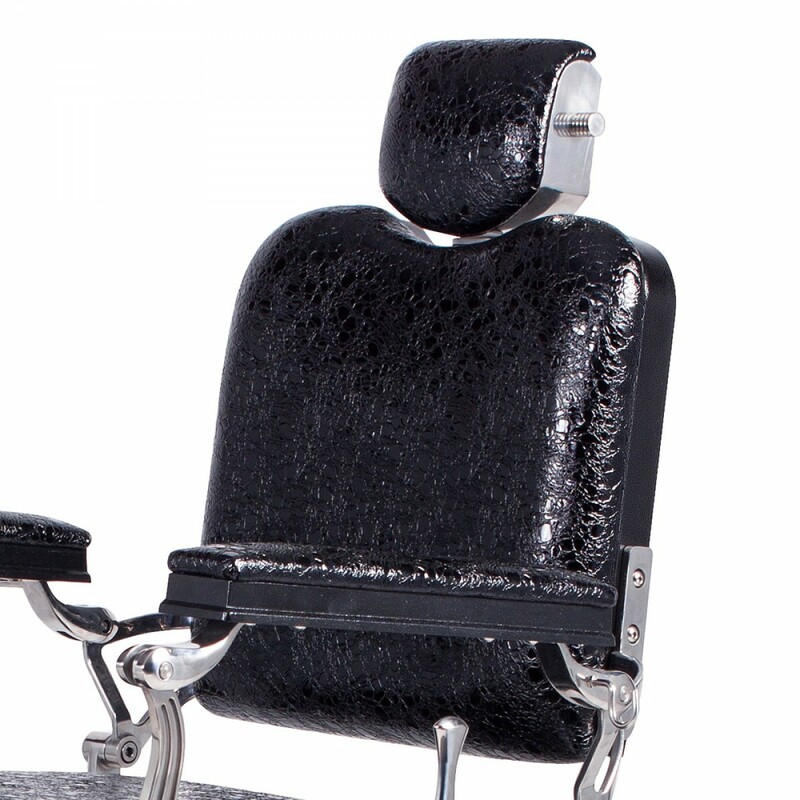 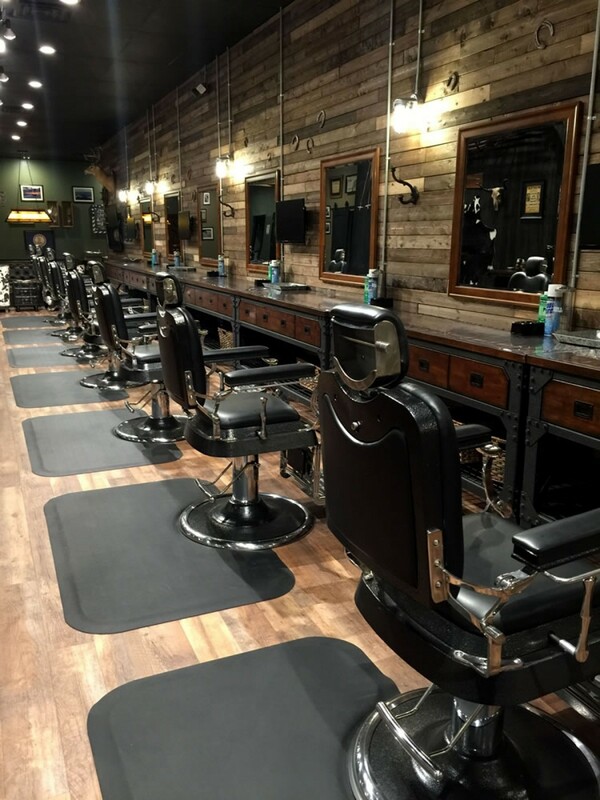 Inspired by the original design dating back to 1922, this antique style barber chair with high grade crocodile vinyl has everything a barber needs at their disposal. 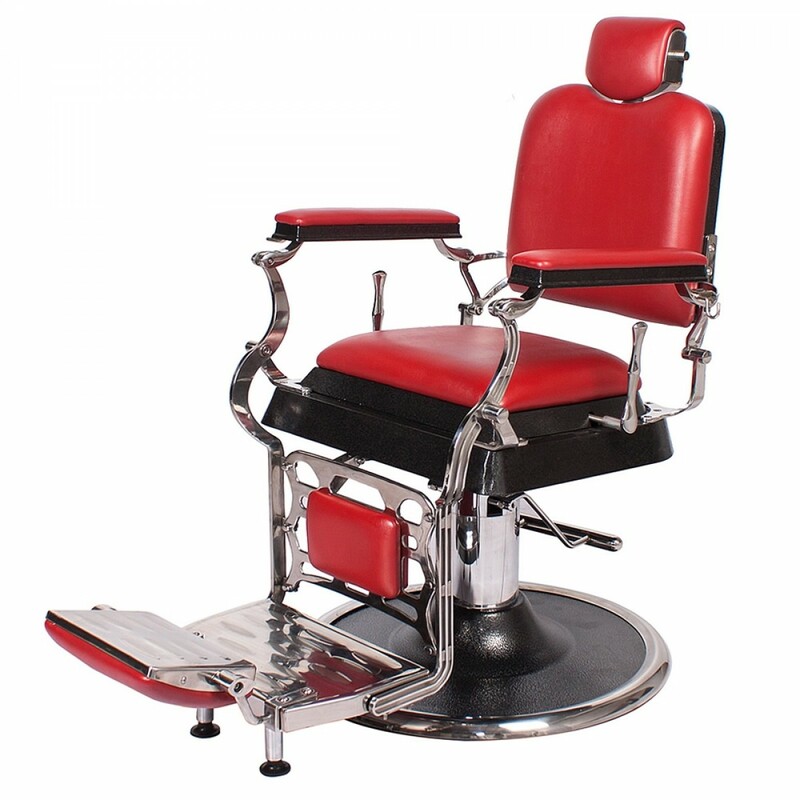 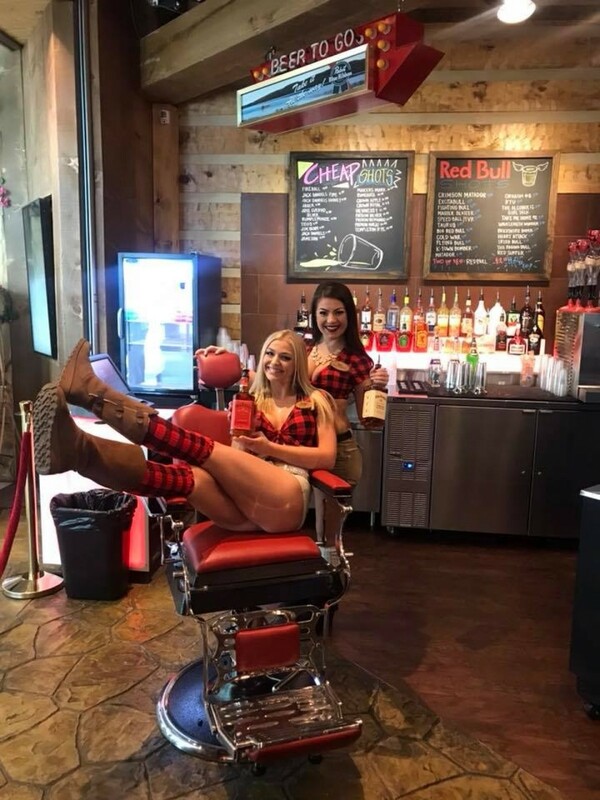 This chair features a reclinable back so customers can feel comfortable while being easily positioned. 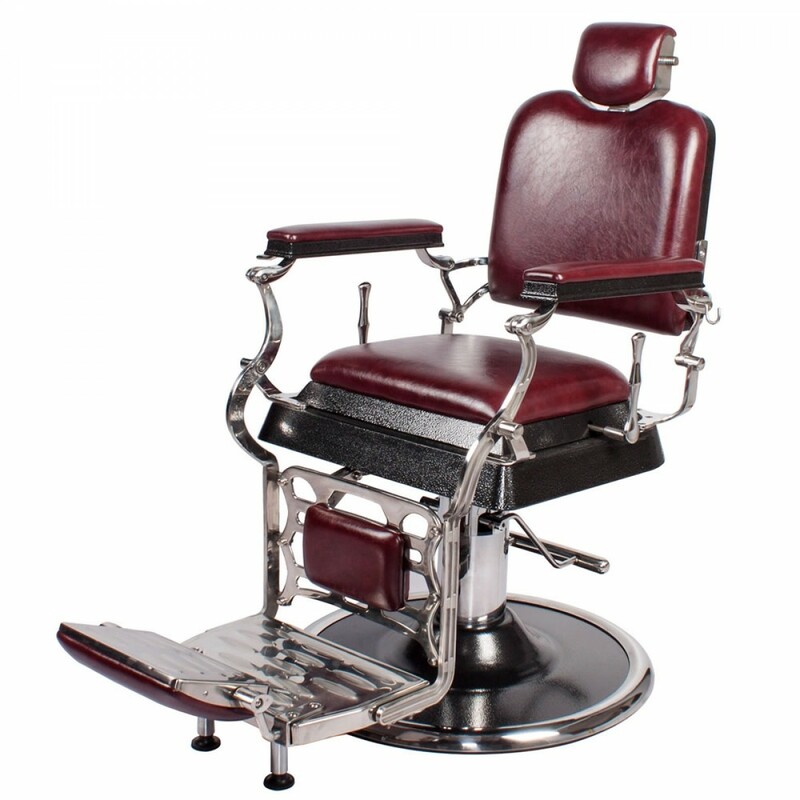 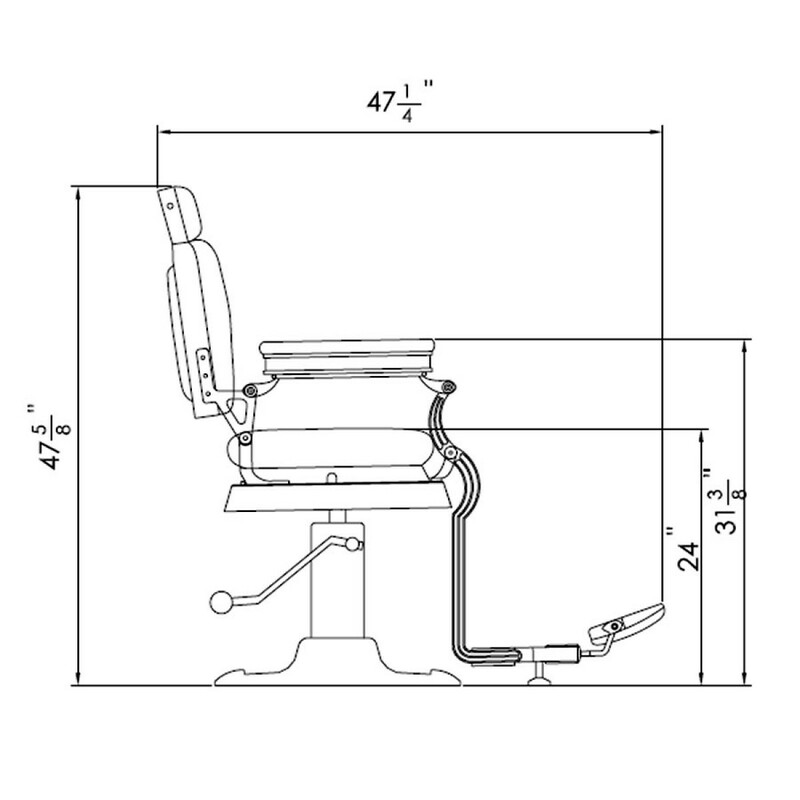 It also has an adjustable headrest, removable bar for neck strips, towel rack, clipper hook, padded calf panel, and heavy duty hydraulic pump. 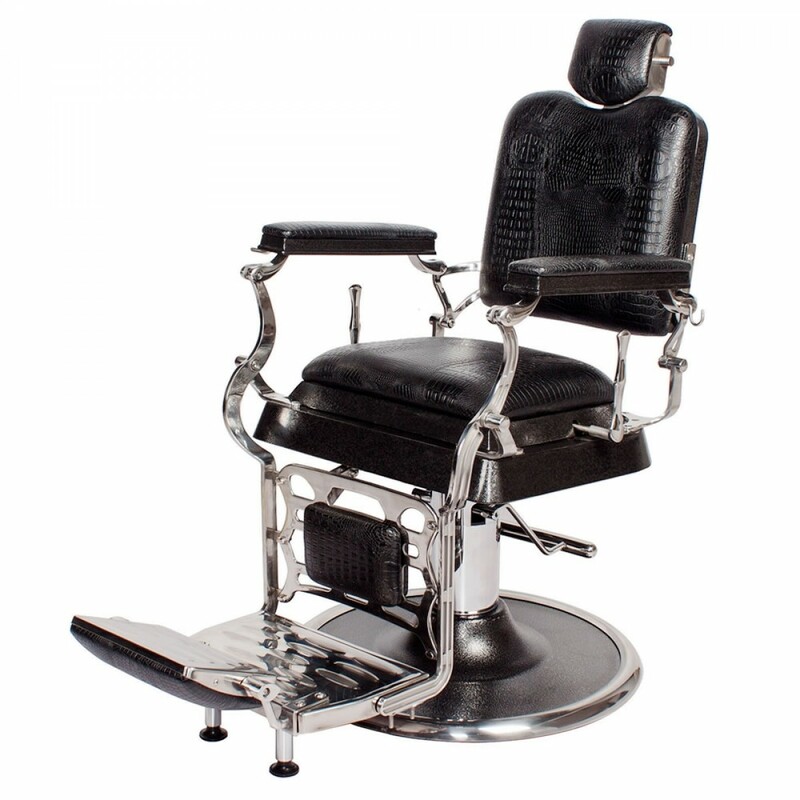 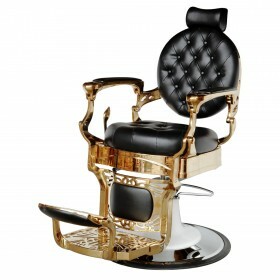 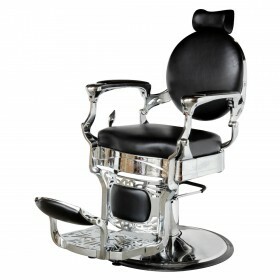 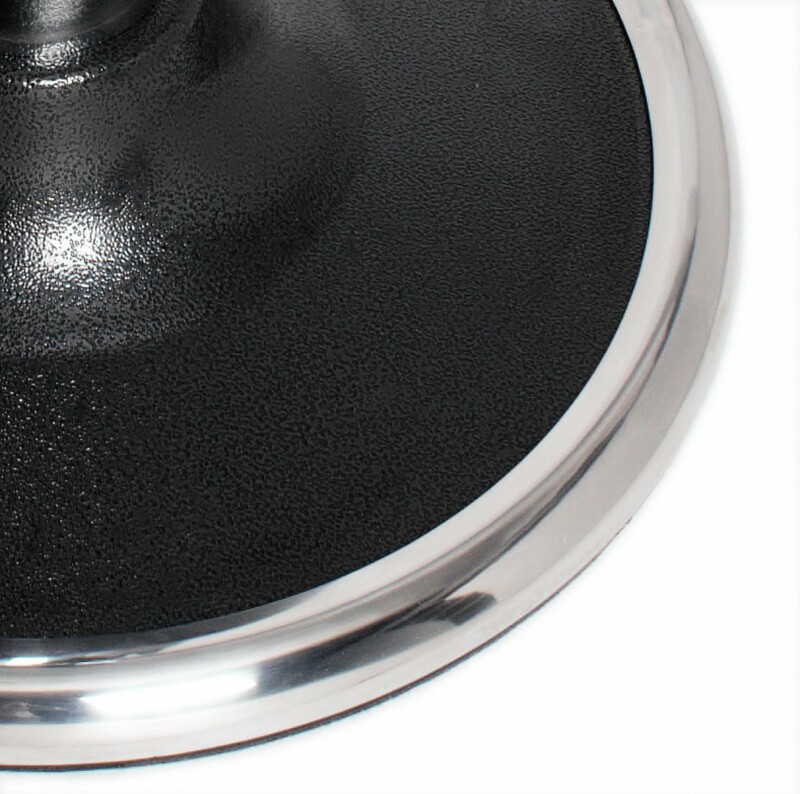 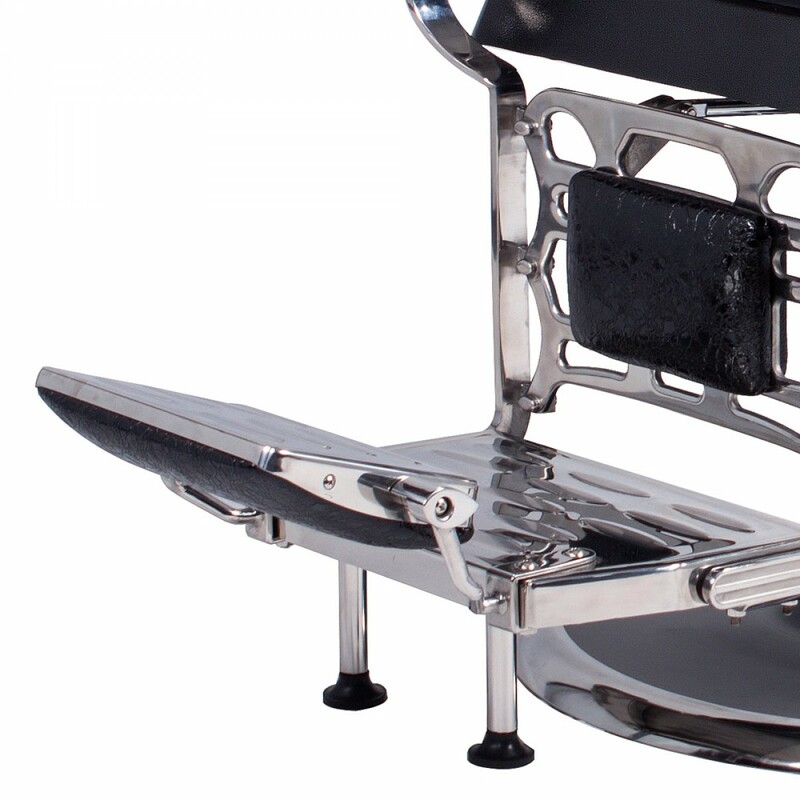 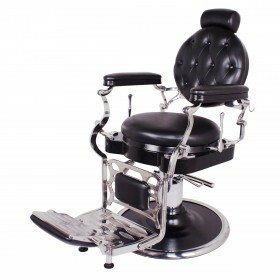 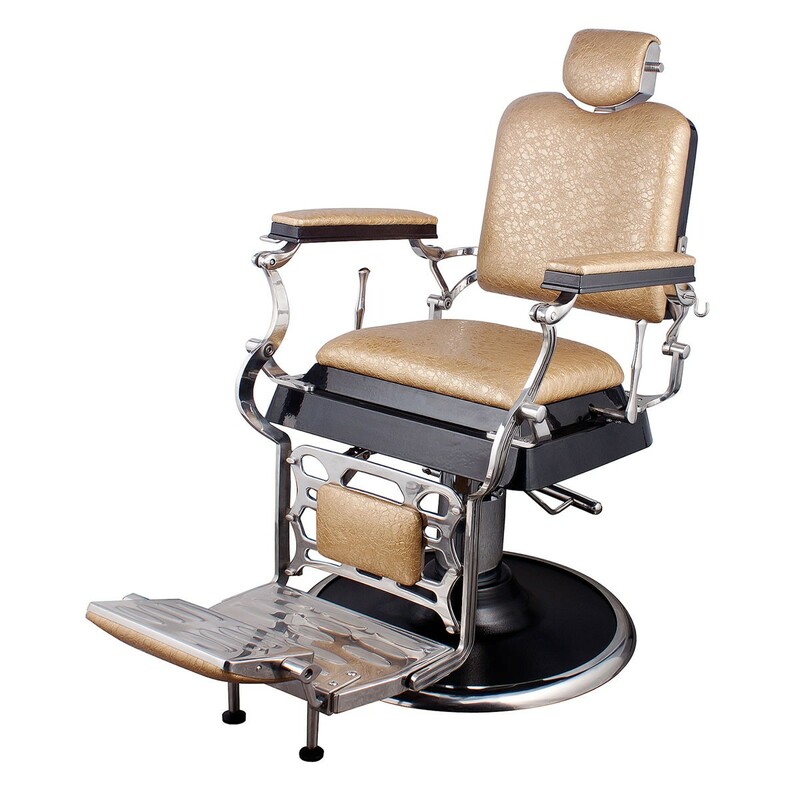 The "EMPEROR" has a classic antique look, upgraded with exotic upholstery and hand polished stainless steel edges. 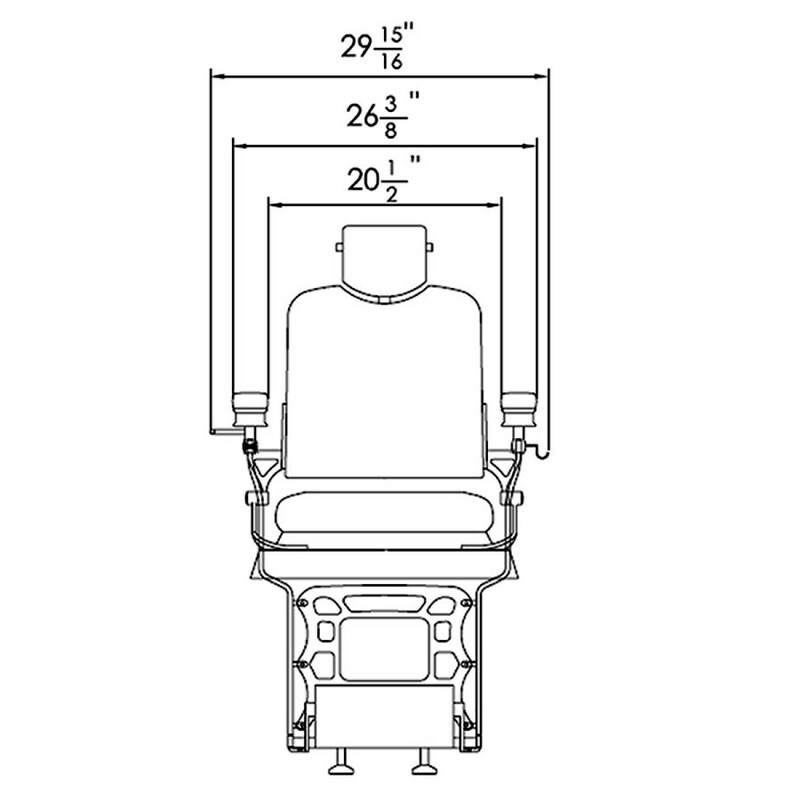 Seat to Ground: 25" ~ 31"
Please click on the thumbnails under the main picture for detailed dimensions.